Is your baby just getting to the age where he or she wants to eat by themselves but doesn't know how to use a spoon yet? Do you buy her pre cut baby snacks from the grocery store that she picks up by herself to eat? How about using the regular food you already have at home? Here are some great ideas of things you probably have in your cupboards! Frozen Peas: warm up a few of these and let them pick them up one at a time. Canned Green Beans: right from the can or warmed a little, you may need to cut these into smaller bits but they are soft enough for baby to mush up in their mouth or swallow whole if they happen to. Canned Garbanzo Beans: you can warm these and serve with the peas or green beans. You may want to pop the husks off the individual beans and discard them, as they might be a difficulty for inexperienced eaters. Bananas: Peel a ripe one and break off an inch or two, then slice the chunk into tiny bite size pieces. Macaroni Pasta: even if baby is too young for the milk cheese and butter in Mac and Cheese, you can still cook up the pasta, cooking it longer for extra smooshiness, and let them eat it plain. Natural Wheat Bread: find a whole wheat bread that contains no funny stuff or nuts, and cut off the edges then slice into little bites. You can even toast it before you slice, for new snack experience for baby. Canned Fruit: Slice up canned peaches and pears into tiny bites. The kind that come already in little chunks may be too big for little baby, but you can use them also if you inspect the size of each chunk baby gets. I DO NOT suggest cutting up deli lunch meat or hot dogs for baby, even though this is a common food people feed their children. Simply because studies have shown processed meats containing Sodium Nitrate or Potassium Nitrate (preservatives) may significantly increase risk for cancer in children. Instead I suggest going to your local deli and requesting sliced All-Natural Turkey, Chicken or Ham. 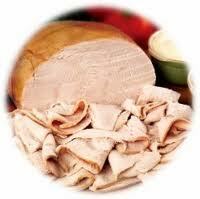 All natural deli meats will not have any preservatives in them. This also means less salt and other icky stuff baby does not need. It means it will need to be used quicker though, probably within the week. Most anything in its natural form can be fed to baby as long as you follow diet restrictions based on age (such as no milk, peanut butter, eggs or honey before the age of one) and make sure it is soft enough and small enough not to choke on. Baby should ALWAYS be supervised while eating, even if you are sure there is no choking hazard.